Customer journey mapping is a way for companies to see what customers really and truly experience with your brand, whether they’re browsing your knowledge base or being talked through a concern by your amazing customer service team. The path a customer takes from Point A to Point B is often a key source of truth when trying to decipher what they loved, what they hated, and where they might have gotten stuck navigating the labyrinth. The data of all those interactions, some of which is self-reported by the customers and others culled from back-end tools, tells you how to help and possibly convert them in the future. Each customer has a profile map detailing how long they’ve been shopping with the company, what they typically buy, where they spend the most time on your website, and where they sought more information or got stuck for a solution to their problem. Though it may sound like too much information, it’s anything but for companies seeking to the insight to build more personalized relationships with their customer base. In fact, are willing to share this type of information if it results in better customer experiences for them. A primary metric, one our key customer journey mapping tools, is the amount of effort a customer exerted while dealing with your company. Here, “effort” is defined as making more than one interaction (often on more than one channel), having to repeat information, the customer’s perceived effort, and being transferred to another agent. This data tells an important story: 96% of users that had high-effort customer experiences reported being disloyal, according to The Effortless Experience: Conquering the New Battleground for Customer Loyalty. And a staggering 81% of customers with high-effort experiences said they would spread their negative review of your brand. On the flip side, only nine percent of customers with low-effort customer experiences reported being disloyal. Only one percent of all customers with low-effort customer experiences said they’d spread negative word of mouth about the company. So, how do you nip high-effort and disloyalty-driving practices in the bud? Let’s first examine the qualities of customer journey map leading to low-effort and high-loyalty. Then, we’ll dig into the types of mapping data you should analyze and encourage your customers to share as you attempt to understand them better. Low-effort companies minimize channel switching. We’ve all experienced it: you check the website FAQ to see if there’s an answer there. Nope. You decide to contact customer support via email. Too much time goes by, so they bite the bullet and call customer service, which then asks if she’s checked the FAQ for the answer to her question. Channel switching makes for an unpleasant customer journey and has a huge impact on customer satisfaction, not to mention (yikes) contributes largely to churn: waving goodbye to your business altogether. Low-effort companies maximize next-issue avoidance. 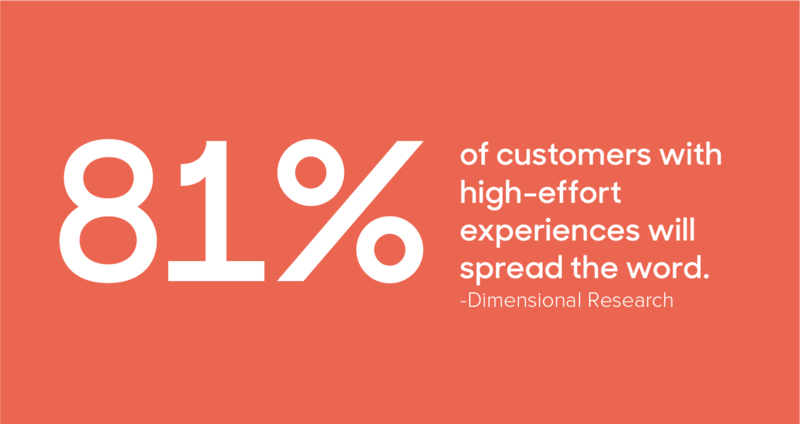 Low-effort companies enable agents to engineer better customer experiences. Related to the previous point, low-effort companies empower employees. These are lofty, high-level goals. How do we get there? Keep reading. Customer Effort Score (CES) is a metric that’s been around a long time. Its first iteration asked customers to rate their level of effort involved in resolving their issue, asking questions like, “How much effort did you personally put forth to handle your request?” This was problematic for a couple reasons. Firstly, the inverted scale—where 1 is high effort and 5 is low—caused some confusion. Secondly, the word “effort” doesn’t translate easily in all languages. Get channel switched a bunch of times? Get asked to repeat information more than once? Pinpointing the reason for their high effort only makes your product, the journey map, and your relationship with that customer, better. We know—no one likes seeing the word “audit,” especially in the same context as “effort.” But having a series of diagnostic questions on each channel at the ready (on social media, your website, to wrap up a phone call) can be a good way to evaluate each channel on their own terms and merits. That gives you a more comprehensive overview of the customer journey and the firepower to improve the map. Mapping the customer journey helps you gain insight and improve your rate of customer retention, which thereby increases your potential to connect with even more customers over time. Furthermore, increasing the lifetime value of a customer means more revenue per customer. Think about how much you’ve spent, and have yet to spend, on a brand you trust. Take account of how it inspired your emotions at every touch point, and see if you can visualize that customer journey map. Embarking on your customers’ fantastic journey alongside them helps ensure all boats rise when it comes to the relationship between you and your customers. 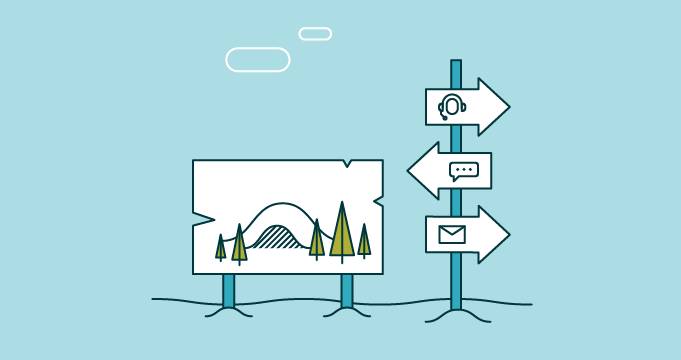 Before you start journey mapping, align on what customer experience means in the first place.